Home / Astronomy / Life Across the Solar System? 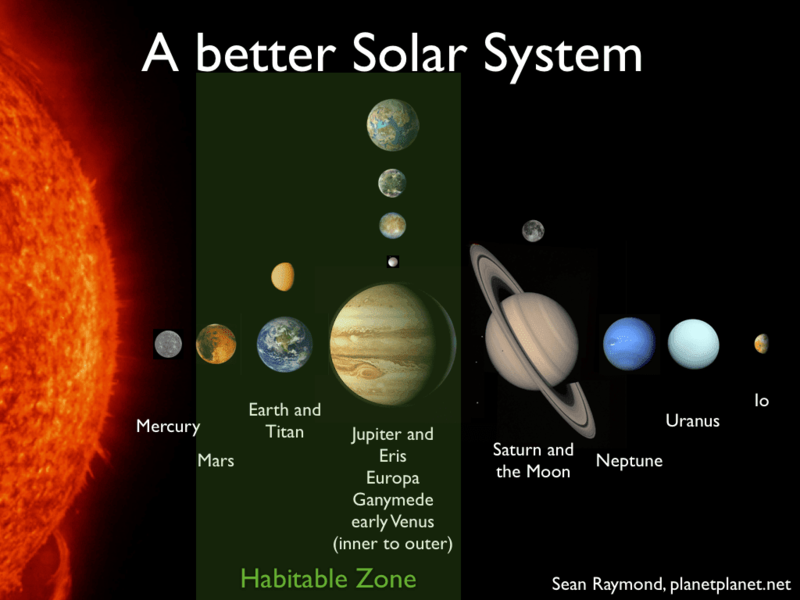 Life Across the Solar System? We still don't have hard evidence for any life that's not of this Earth, but across our solar system there are some tantalizing possibilities for primitive life to find a haven. Some moons of Jupiter and Saturn are intriguing, and there's also the chance for some surprises somewhere on Mars. Here are my top six candidates for the best spots to search for primitive alien life in our solar system. Mercury is not generally considered to be likely to a planet with life. It is too close to the Sun, extremely hot and dry, and has very little atmosphere. 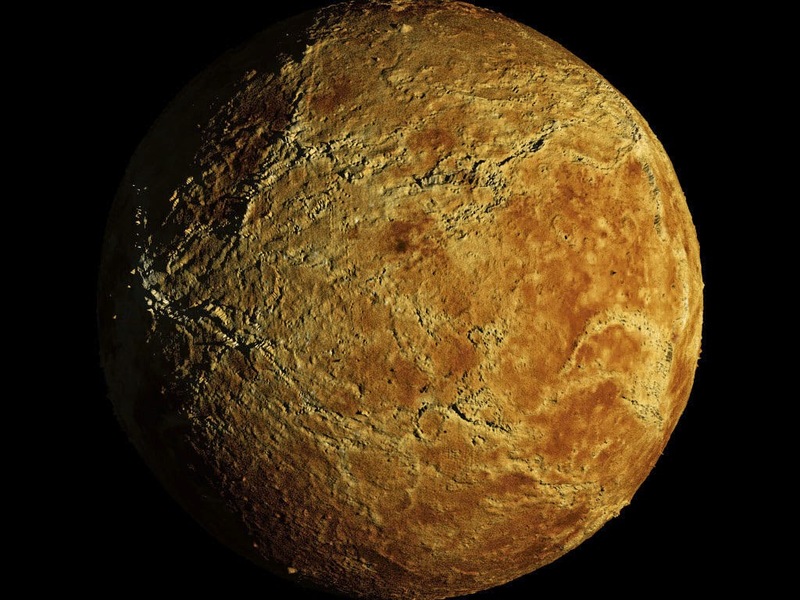 Venus is equally inhospitable which is surprising given that it would seem to have a lot in common with Earth. They are similar sizes and masses and Venus is only 28% closer to the Sun than Earth. However, Venus’ atmosphere has almost no water vapor in it and is 96.5% carbon dioxide. Its atmosphere is 100 times as massive as Earth’s, which means the atmospheric pressure on the surface of Venus is 90 times that of Earth. The carbon dioxide atmosphere on Venus acts is a greenhouse gas and as a result, the surface of Venus has an average temperature of 460°C. This is hot enough to melt lead, tin and zinc. 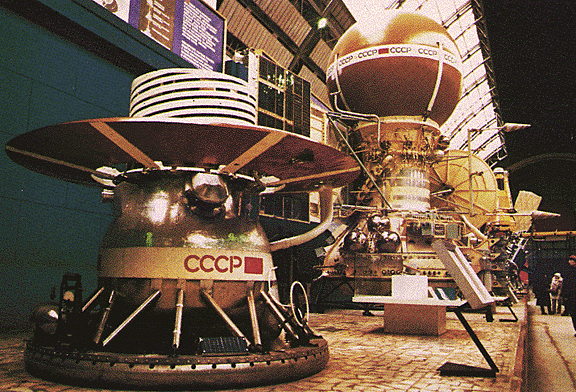 Several Soviet spacecraft landed on Venus and sent data back. The heat and pressure on the surface of Venus meant that each one survived at most a couple of hours before being disabled by the extreme conditions. Scientists believe that Venus probably had water at one time in the past, but conditions in the atmosphere caused the planet to become too hot and all of the water has evaporated into space. Scientists have been curious for centuries about whether there is life on Mars. In 1877, the italian astronomer Giovanni Schiaparelli observed Mars through his telescope and observed what he thought were channels. The American astronomer, Percival Lowell, translated the word “canali” as canals, instead of channels, and took them as evidence that there was intelligent life on Mars, capable of constructing large canals. Other astronomers observed that Mars’ polar ice caps change in size with the seasons, and that the entire color of the planets seems to vary. At first it was thought that these seasons must be like seasons on Earth, and the color changes meant there were plants changing color. We now know that these changes in color are due to Mars’ periodic dust storms, which are large enough to cover larger areas of the planet. 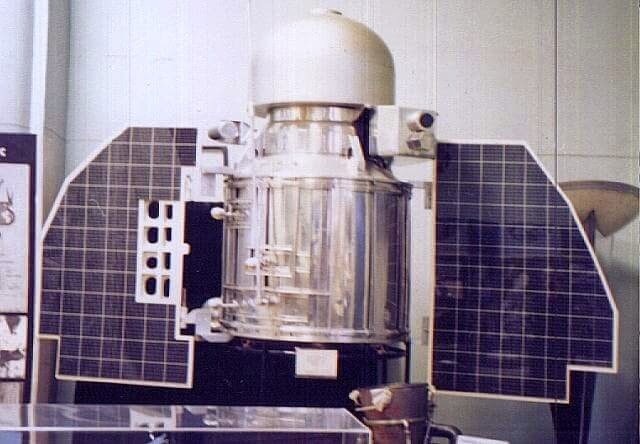 Many missions including Mariners 4,6,7 and 9, the Viking orbiters and landers 1 and 2, Mars Pathfinder, Mars Global Surveyor, Mars Odyssey, Mars Express, Spirit, Opportunity, Mars Reconnaissance Orbiter, and Phoenix have orbited and actually landed on the surface of Mars in search of life. While Mars might have been able to support life in the past, so far no evidence of past or present life has been discovered. Mars’ atmosphere is only about 1% as dense as Earth’s is too small to maintain liquid water on its surface for long before it evaporates. Future missions including orbiters and landers are scheduled to go to Mars and continue searching for life. 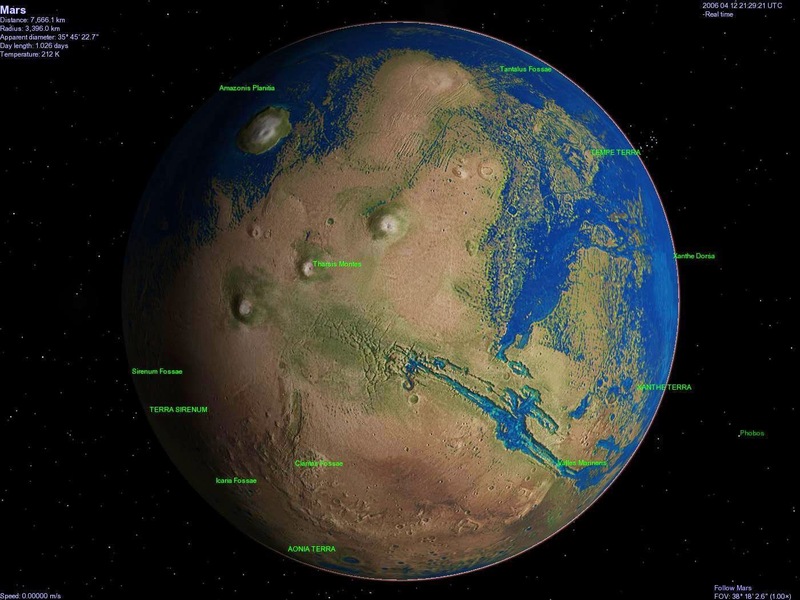 It is clear that water ice exists on Mars, both in the ice caps and in glaciers at the equator under layers of dust and debris. Liquid water, either on or below the surface has not been discovered. Some missions have searched for microbes in the dusty surface of Mars by collecting samples of soil, adding water and other nutrients and measuring the gas output. So far such experiments and other have not yielded evidence of any organisms. Jupiter has at least 66 moons, most of which are relatively small. It has four large moons, the Galilean moons, which are very exciting for astrobiologists because some of them might have environments that could support life. 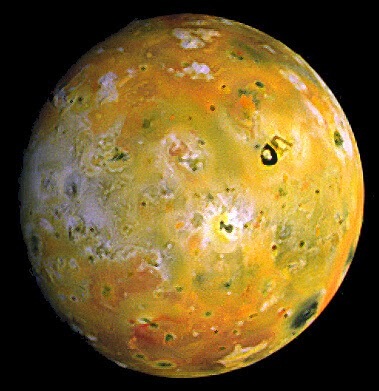 Io is the nearest Galilean moon to Jupiter. It is in a resonant orbit with Ganymede and Europa. For every one orbit of Jupiter that Ganymede makes, Europa makes two and Io makes four. The gravitational interactions between these moons and Jupiter cause huge tidal forces to act on Io’s crust and as a result, Io is very active geologically. The number of active volcanoes has turned Io into a completely dry planet, and it is very unlikely that there would be any life there. 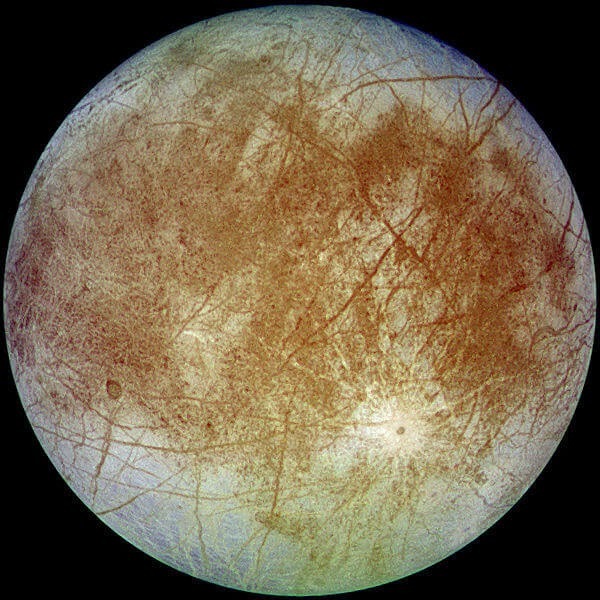 If water is the key to life as we know it, then Europa might be the most promising candidate in the search for alien organisms. This moon of Jupiter is thought to harbor a huge ocean of liquid water beneath its thick icy crust. In recent years, scientists have discovered microbial life in extreme ocean environments on Earth, which hint that strange life forms could exist in a place like Europa. Filmmaker James Cameron's 2012 expedition to the deepest pit in the ocean turned up 68 new species of bacteria. Last year, scientists found microbial life in an Antarctic lake buried deep beneath the ice sheet. The Obama administration's 2015 budget request set aside $15 million to help develop a mission to Europa. NASA researchers have been developing a probe, dubbed the Europa Clipper, to make multiple flybys around the moon, studying plumes of water vapor bursting from Europa's south pole. Just last month, the space agency put out a call for ideas for scientific instruments that could detect signs of life on a future mission to Europa. beneath an ice crust. 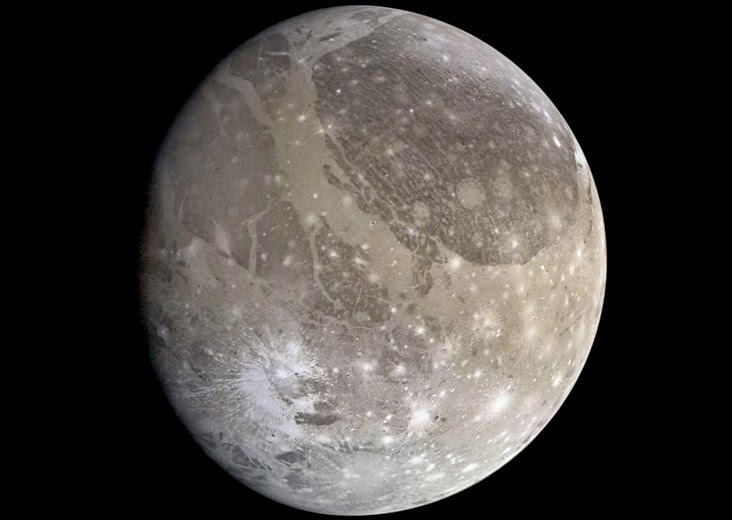 The energy from the tidal interactions between Ganymede and the other Galilean moons should not generate enough energy to keep saltwater liquid on this moon, and astronomers think the water is probably kept liquid by a liquid iron core inside the moon, and the insulation of a the ice which is hundreds of kilometers thick. Ganymede also seems to have a very thin atmosphere. 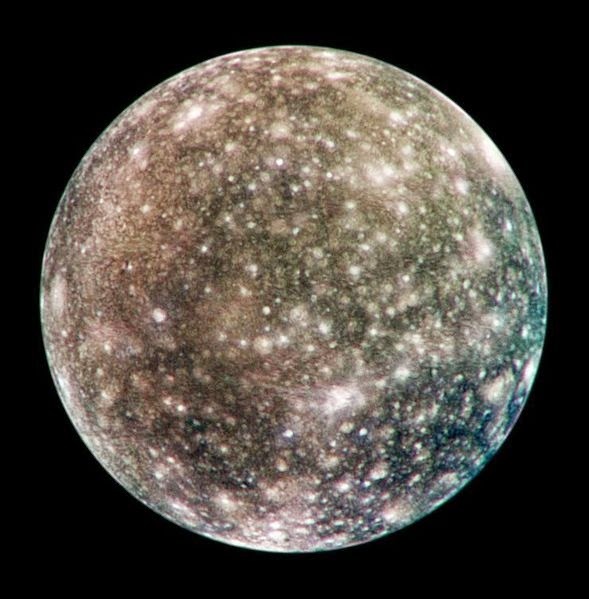 Callisto is the fourth Galilean moon out from Jupiter, and although it is not in a resonant orbit with Jupiter in a way that could cause the tidal energy the other moons experience, it also seems to have a liquid ocean beneath a thick ice crust. The liquid water is likely to have ammonia and salts dissolved in it which lower the freezing point of water. Some heat is probably generated by radioactive elements in the rocks on Callisto and this seems to be enough to maintain the liquid water. Saturn has at least 62 moons, ranging in size from only a kilometer or less across, to the largest moon in the solar system, Titan, which is larger than the planet Mercury! Several of these moons have features that make them of interest to astrobiologists. 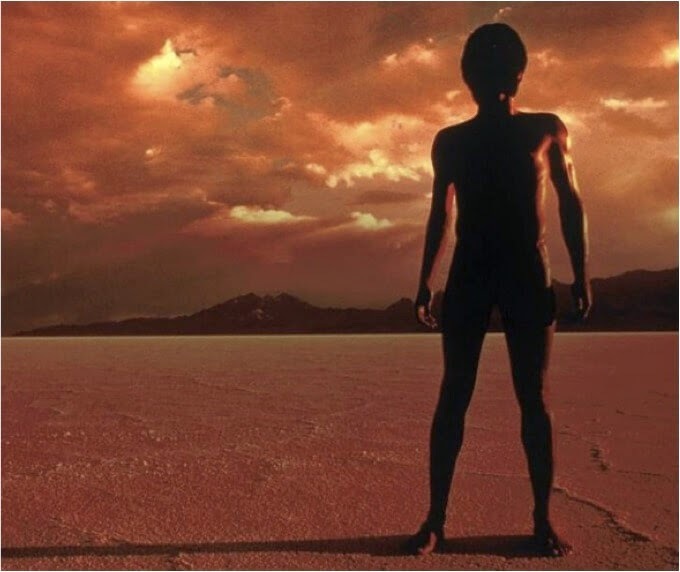 The discovery of life in Trinidad's Pitch Lake should be most exciting to researchers looking for signs of life on Titan, Saturn's largest moon. 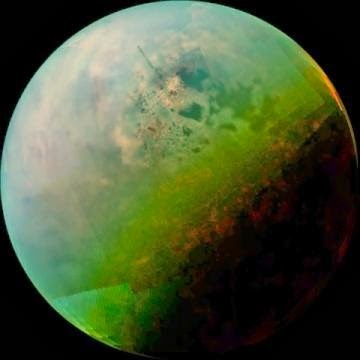 Titan resembles Earth perhaps more closely than any other celestial body in the solar system. But instead of water oceans, this frigid moon is home to vast hydrocarbon lakes. The authors of the new study in Science say there could be droplets of water-ammonia mixtures rising inside Titan's oily lakes, much like the water droplets found in Pitch Lake. Further study of how life can survive in water trapped in oil "would give us better ideas how organisms on Titan, if they exist, could adapt to live in those hydrocarbons," study co-author Dirk Schulze-Makuch, an astrobiologist at Washington State University in Pullman, told Live Science. Rhea also has an incredibly thin carbon dioxide and oxygen atmosphere, but is only a trillionth the density of the atmosphere on Earth. Like Europa, Saturn's moon Enceladus has a formidable frozen shell covering a deep subsurface ocean, which could cover an area at least as big as Lake Superior, according to a recent study in the journal Science. 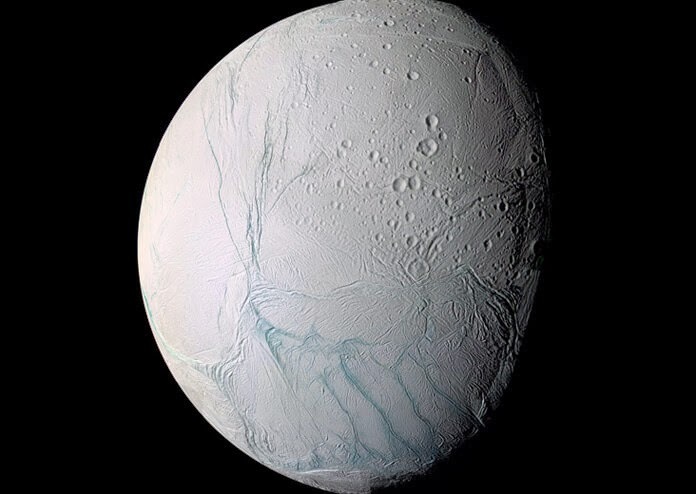 Some researchers think they may be able to study Enceladus' hidden water without drilling through its crust, which could be up to 25 miles (40 kilometers) thick. NASA's Cassini spacecraft has spotted 101 geysers of water vapor and ice erupting from fractures near Enceladus' south pole, scientists announced last month. If these plumes come from Enceladus' buried ocean, future spacecraft that fly through these geysers could study the makeup of the moon's ocean without actually landing on the surface.